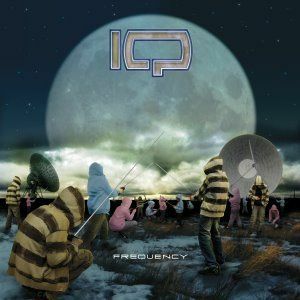 It's a pity one of IQ's worst cover art is on one of their best records. Not frequently cited, this tenth studio album is quite inspired and modern, while preserving the band's musical identity. The musicians real entered the new millennium this time. Maybe a little less adventurous than previously, the songs are however more coherent, incorporates elements of other progressive styles such as heavy prog or prog metal, and the quality is present. The heavy title track contains all what you can expect from IQ at the beginning of the 21st century: a dark opening, rocky passages, enchanting trademark keyboards, pretty melodies and powerful soli. Simply one the best compositions from the band! "Life Support" can be divided in two parts. The melancholic first half is dominated by piano-driven, whereas the second half displays unreal eerie music typical if IQ. The progressive "Stronger Than Friction" is also good, alternating dark, smooth and epic atmospheres. Ironically, the romantic ballad "One Fatal Mistake" is rather soapy and out of place. Fortunately, this song is also the shortest. Therefore, this little mistake is far from being fatal for the disc. Containing only two weak tracks, more convincing and personal than its predecessor, "Dark Matter", "Frequency" finally shows the musicians modernizing their style while preserving their soul and composition quality. Melancholic and somber, smooth and oppressive, nonetheless recommended to IQ fans, this opus is one of the best neo-progressive albums of the 21st century! Also adapted to discover the band if you're not familiar with this genre.